Several weeks ago, Twitter launched a new feature – polls. We noticed that Lionsgate tried it out with The Last Witch Hunter right away, so we figured it was only a matter of time before we got Mockingjay polls. 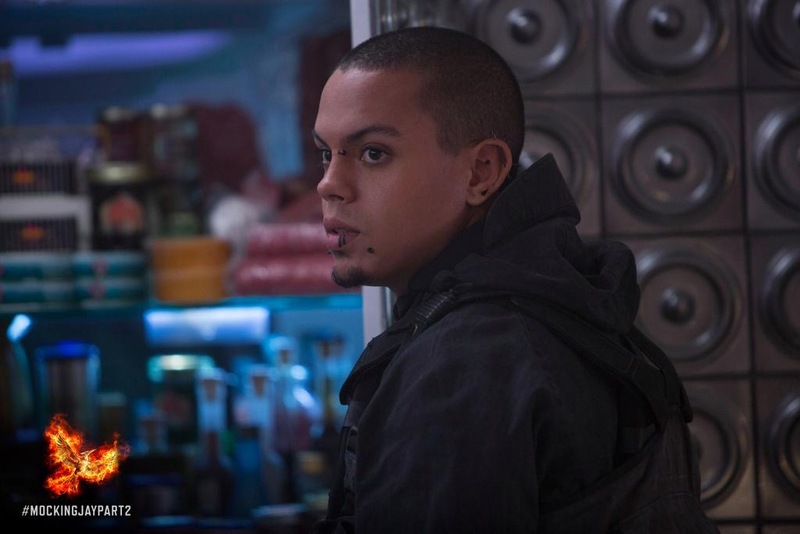 Monday, they started out with a choice between the more fringe characters, Messalla or the Leeg twins. And Messalla came out on top. Looks like he’s in the Capitol there. Today’s choice has a bit more fan interest. The question is pretty moot, cause fans are voting for who they want to SEE, not their skills, but whatevs. These seem like they’ll be the official actor/character images on the Mockingjay Part 2 website, so we’ll see them all soon anyway. The big, cringeworthy question awaits – do you think they’ll dare do a Peeta/Gale poll? We’re laughing already at the disdain that would cause in the fandom. OH GOD. What a laugh that’d be. As if anyone other than Katniss can stand a chance against Wonderboy–uh, Breadboy. :3 Katniss vs. Peeta would actually be a fairer matchup. And so long as they might be moving toward more popular/main characters, I could see them doing Effie vs. Haymitch…Coin vs. Snow…Prim or Cressida vs. Gale? Or Cressida vs. Boggs? Castor vs. Pollux? Plutarch vs. Paylor? Other fringy squad people against each other, etc. ?